WillPower! is our Education Outreach Program that works in collaboration with public and private schools throughout central North Carolina, to place a trained professional theatre artist in school for residencies from one day to six weeks in duration. Founded in our second season (1998/99), WillPower! was originally developed to educate elementary, middle, and high school students about the works of William Shakespeare and has since matured into a tailored curriculum for students covering topics such as acting, movement, improv, theatre history, spoken word poetry and devising. Led by Burning Coal’s Director of Education, the residencies bring a trained, professional theatre artist into your school to conduct a workshop or performance with your drama, theatre, or English classes. Whether you are looking for new ways to approach Shakespeare, or to strengthen your students’ performance skills with additional training tools, or introduce new perspectives and methods to enrich your students’ classroom experience, Burning Coal’s guest artists bring both advanced training and our signature passion. Every residency is custom designed to meet the needs of each individual class, school and teacher. We custom tailored curriculum courses in every theatrical discipline with flexible residency lengths. AND we can also put together a tour trip to NEW YORK CITY, LONDON or any other theatre capital that your group would like to travel to. We do it cheaply AND we do it with the personal touch, making sure your group stays right in the heart of the City and sees and does things that you want to do. Led by Burning Coal’s Director of Education. CLICK HERE to view a FAQ sheet. We look forward to working with you to design a curriculum that ignites the fuse within each of your students! Students will be assigned a scene from a play chosen by their teacher. They will also be assigned a scene partner and will be expected to read the entire play. We will rehearse these scenes in a workshop format each session, with each student watching and learning how to effectively evaluate the work of their classmates as well as how to process feedback regarding their own work. Additionally, each student will gain a better understanding of the rehearsal process in which the text is the primary consideration. At the first session, each student will be assigned a monologue to learn which they will then be led through a series of techniques in order to bring a piece of text to life without a scene partner. 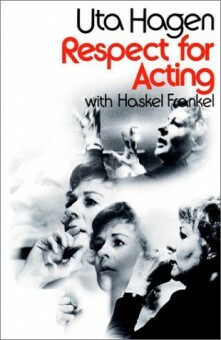 Students will learn acting techniques such as relaxation and focus, as well as objective and action, in order to master their monologue. A crash course in one of the most exciting, cutting-edge forms of theatre today, which emphasizes collaboration and creativity. Concludes with a performance of a student-devised show. 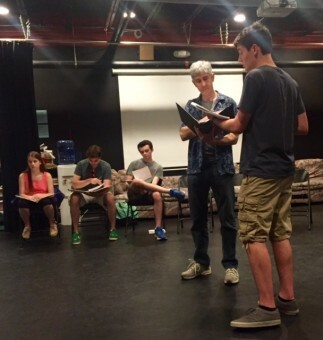 This class is designed for high school students looking to sharpen their monologue repertoire and audition skills. Perfect for those who are auditioning for BFA Acting programs, both in the US and abroad. Workshop: Students may arrive with their chosen monologue memorized. Each student will workshop their chosen monologue, through focused instruction on finding a clear objective, as well as what to expect during the audition process. We will prepare students for the possible questions to expect in the room and typical adjustments they might receive. Monologue Selection Students may arrive with 2-3 options memorized that we will assess according to what is appropriate for a university entrance audition. The philosophies of different theatre programs will be discussed as well as what monologue might be most appropriate for each school. Workshop: Each student will then workshop their chosen monologue, learning about and exploring clear objectives and actions, as well as what to expect during the audition process. 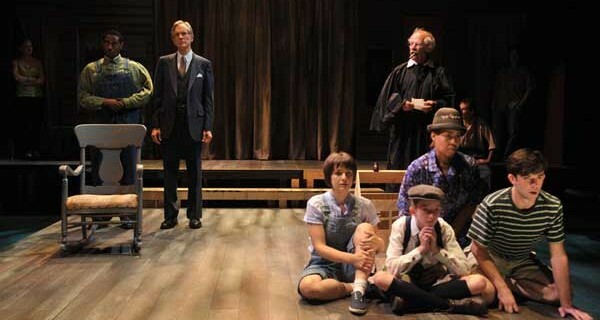 Each Student will be led through a series of techniques in order to bring a piece of text to life without a scene partner.Students will learn basic text analysis of the entire play from which the monologue has originated. This relentless, playful, creative class/technique uses music and movement to explore our relationship to space, environment and each other. A course designed to introduce students to various acting styles (performance art, absurdist, period movement, etc.) outside of conventional realism. The teaching artist will provide support on a school-sponsored production. Support includes workshops, general production help, or the direction of the production. Through spoken word poetry, students can explore language skills, sentence structure, and vocabulary. These are just a few components, but the experience of spoken word poetry challenges students to step outside the box and engage in a truly different aspect of poetry. A survey of theatre history from Ancient Greece, through the Medieval Ages, the Renaissance, and the European movements of the 19th century, all the way toward the innovations of the 20th and 21st Centuries. An in-depth exploration of the acting/ensemble methods popularized by Anne Bogart and the SITI Company, with classes covering character creation and ensemble work. Viola Spolin is the internationally recognized originator of Theater Games – the basis of improvisational theater. Along with her son, Paul Sills, Viola Spolin created the techniques utilized by the cast of Chicago’s Second City as well as every other improvisational comedy troupe ever since. 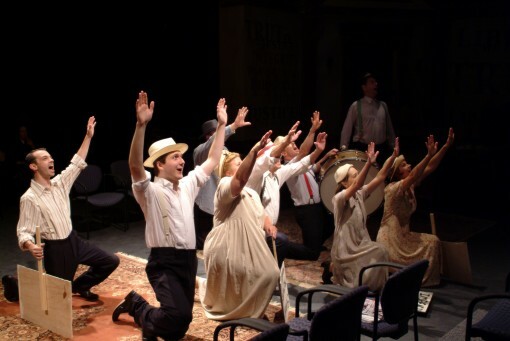 From Chicago’s settlement houses to the Young Actor’s Company, the Compass Players, Second City as well as in thousands of institutions of education and healing throughout the world Viola Spolin taught us to play and to discover our creative potential. Spolin has introduced her work not only to students and professionals in theater, but to elementary and secondary education, schools for gifted and talented programs, curriculum studies in English, religion, mental health, psychology, and in centers for the rehabilitation of delinquent children. Spolin’s Theater Games are simple, operational structures that are each built upon a specific focus or technical problem. The games have a liberating effect for the players. The first rule of improvisation is “yes, and,” meaning that anyone’s contribution to the group discussion is accepted without judgment. If you would like to bring Burning Coal’s WillPower! program to your school, contact us at 919.834.4001 or email our Director of Education at education@burningcoal.org. To encourage the young writers of North Carolina, Burning Coal each year holds a festival of new plays, written by students from 6th grade to 12th grade from Wake and surrounding counties. Created in 2004, Kidswrite will be accepting submissions of one-act plays from students and producing a number of them in May 2019 at Burning Coal Theatre (The Murphey School Auditorium). Please help us spread the word and help our next generation of writers! Original one-act plays, less than 45 pages in standard manuscript format written by a student, grades 6 -12, are eligible. Writers, please send submissions along with a letter including your name, address, email address or phone number, grade and school. Submissions must be received by March 1, 2019. Writers will be notified by mid-April. All writers will receive written feedback. KidsWrite performances will take place on May 24 and 25. TICKETS for the 7 pm performances are $10 and are available only at the door on the nights of the show. For additional information, please call 919.834.4001. JM Barrie told a story. To some children. It later became a play, a novel, a film, a television movie, and many, many other things. Children all over the world now know and love Peter Pan and his friend, Wendy. And her dog, Nana! The imagination is a powerful thing. Burning Coal Theatre Company is on tour to schools with its powerful whimsical production of this classic story for children. Performances can take place morning or afternoon. The production is flexible and self-contained; all we need is a bare performance space. 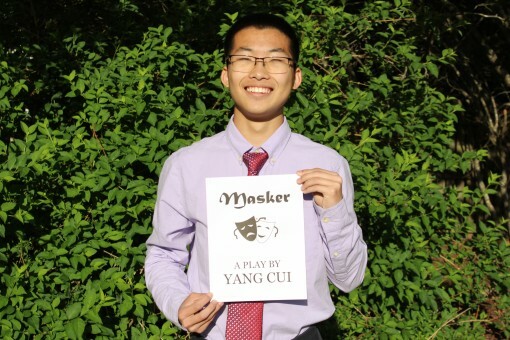 Performances run about 50 minutes and can be followed by a talkback with actors and director, and accompanied with a study guide for the performance. For more information, call 919-834-4001 or email us at burning_coal@ipass.net. Tour fee: $1,000 or $1800 for two consecutive performances. Shakescenes is series of workshops and rehearsals culminating in a full production of a Shakespearean play, directed by the Teaching Artist. Founded in 2011, Shakescenes introduces 3rd through 12th graders to the works of William Shakespeare, emphasizing through games, exercises, and performances that Shakespeare the universality of Shakespeare and how these stories are still relevant today. By introducing students to Shakespeare at an early age, it debunks many of the students’ preconceived myths that Shakespeare is boring, old, and hard to understand. The interactive and fun nature of Shakescenes serves to clear roadblocks in their future education by making students enthusiastic about Shakespeare! Includes five days of class instruction, activities, games, and discussions (up to three consecutive hours a day) with Burning Coal’s Director of Education. 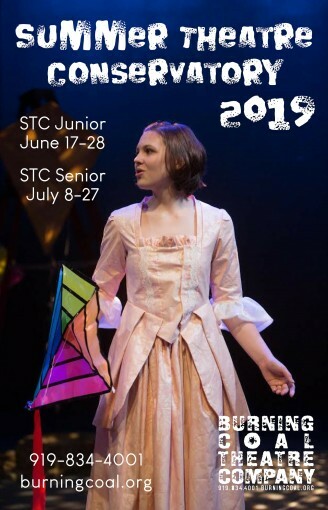 Burning Coal’s troupe of professional actors come to your school and perform a variety of scenes from Shakespeare’s most famous works, including A Midsummer Night’s Dream, Romeo & Juliet, and The Tempest as part of an interactive show! This 50 minute performance is open to the entire student body and is narrated by Director of Education, with a discussion following the performance. If you have trouble choosing one, have both our residency teaching program and single performance compliment one another as you open the works of Shakespeare to your students on a fun, interactive level! If you would like to bring Burning Coal’s Shakescenes program to your school, contact us at 919.834.4001 or email our Director of Education at education@burningcoal.org. $275 DUE on or before the first day of the program. A two-week conservatory for students in grades 6-8 who want to explore all the possibilities the theatre offers. Students learn techniques of movement, vocal production, and character study in the mornings and apply those techniques in rehearsing an original play in the afternoons, with a culminating production of that play created by the students themselves at the end of the session (June 28th at 6:00 pm). Taught by Burning Coal’s Director of Education. $425 DUE $100 deposit with application, remainder at time of your audition for the play. Students in grades 9-12 as well as college freshmen. You will be contacted regarding auditions for MUCH ADO ABOUT NOTHING following enrollment. STC Sr. is our intensive, three-week conservatory for high school students interested in rigorous, professional training. It involves classes in the mornings followed by rehearsals for a play in the afternoons (this year MUCH ADO ABOUT NOTHING by William Shakespeare!). Two performances will take place at Burning Coal on the evenings of July 26 & 27, 2019. 919.834.4001 - call now to reserve your spot in class. Burning Coal Theatre offers a NEW class to assist young actors in sharpening their audition skills. In this 4 week course led by the talented Burning Coal actor LUCIUS ROBINSON,teens will learn to select and hone audition pieces that will give them a competitive edge on the collegiate audition circuit as well as other high stakes auditions. Students will participate each week in mock auditions and receive feedback and practical advice on how to prepare and perform their audition pieces, as well as receive practical advice and instruction on the art of auditioning. Burning Coal Artistic Director Jerome Davis will attend the class’ final presentation of audition monologues. Work will include improving movement, voice, and confidence as well as choosing and crafting audition monologues. Students should prepare 2 contrasting monologues: One classic, one contemporary, can be comedic or dramatic. Accepting Students in Grades 9-12. Bryan Pridgen holds a B.A. in Acting from Greensboro College where he received the Haley Theatre Scholarship and later received the Nancy Levin and Ernest Borgnine Scholarships as an intern with Barter Theatre. 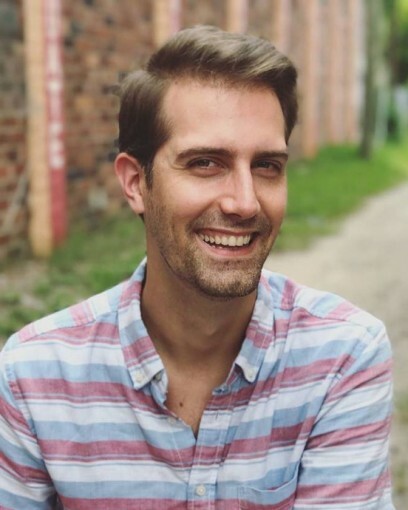 Bryan is a Co-Founder of Savannah Stage Company, a non-profit professional theatre in Savannah, GA that brings theatrical adaptations of classic literature to life through educational tours and mainstage productions. He served as Artistic Director of SSC during its inaugural season and was crucial to the creation of their education wing. As an educator, Bryan has worked for the past five years in public and private schools in NC and GA. He continues his work in education as a substitute teacher for Wake County Public Schools. This fall, Bryan will be attending NCSU to obtain his Masters in Elementary Education. 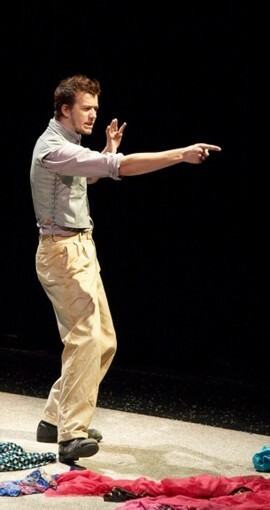 As a theatre artist, Bryan has extensive experience in multiple acting techniques, including Stanislavski, Meisner, Viewpoints, and Suzuki. Bryan has been directing in professional and educational theatre for the past decade. He has considerable experience with comedies, musicals, TYA and classical work. 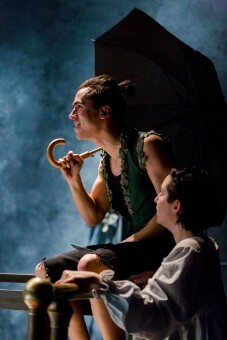 Beyond acting and directing, Bryan is well-versed in voice, movement, playwriting and props design.